You’re consistently creating such awesomeness – this totally made me smile! Seriously, that is a great example of digital storytelling. My favourite is the soundcloud example. Very creative. It was like creating a word cloud, but instead of exploiting the written medium, you went for the oral medium. Really inspiring! Delightful – did you credit Beethoven? I’m trying to pinpoint what some of this reminds me of… maybe some elements of Laurie Anderson? Either way, fun! 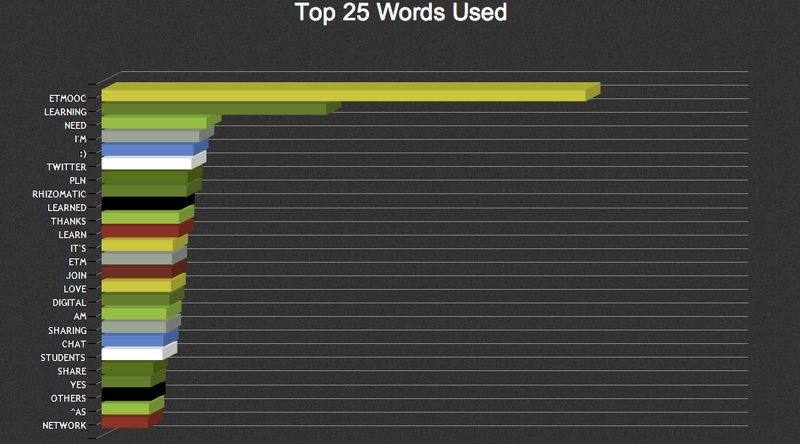 This entry was posted on February 6, 2013 by amyburvall in etmooc and tagged data viz, etmooc, fun, twitter.